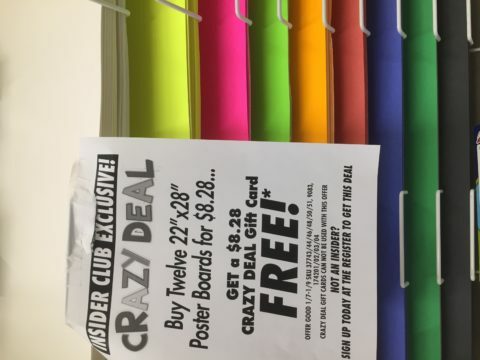 Pick Up Posterboards for Projects… 12 for FREE!! Get back an $8.28 Crazy Deal gift card = a dozen FREE after gc! Selection will vary- Check your local store for participating colors.